A choir in Kendal is able to bring live music to communities throughout Cumbria and Lancashire after receiving funding for new equipment. K Shoes Male Voice Choir, based in Kendal, were awarded £750 in April last year from the Cumberland Building Society Charitable Foundation. The grant covered the costs of a new stage piano and compact PA system to replace heavy kit which was difficult to transport. The choir has been in existence since 1929, originally formed by the Somervell family, owners of K Shoemakers. K Shoes no longer manufacture shoes in Kendal but the 40-strong male choir still perform and support charitable causes. Increasing opportunities for the public to engage with culture and heritage, they often play in rural areas which have few social and musical events. 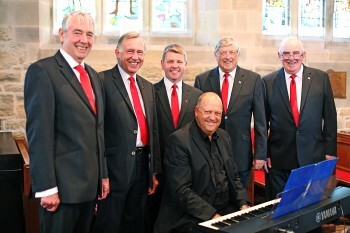 Richard Bird, Chairman of K Shoes Male Voice Choir, said: “We are bringing music to locations with limited opportunity to organise concerts, often some members of the audience have limited mobility.